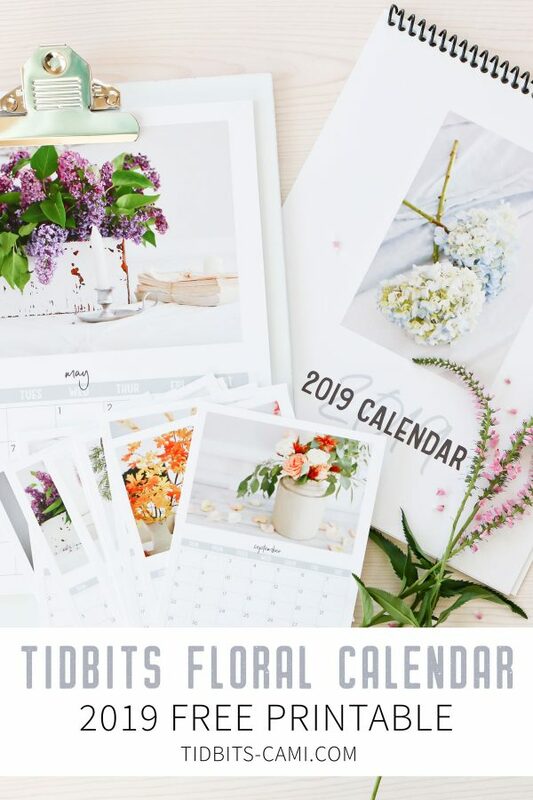 Look forward to every month with my special gift to you – my 2019 TIDBITS Floral Calendar FREE printable! 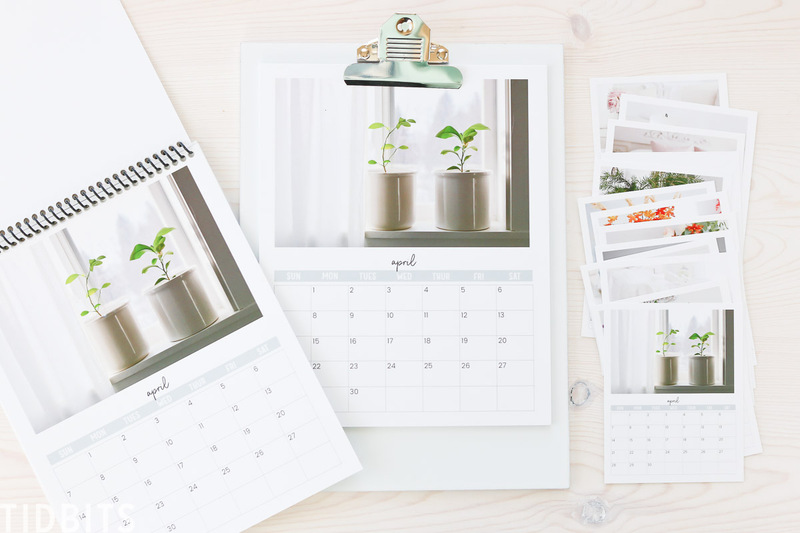 Additionally, enjoy the option to create your own photo calendar with my drag and drop template. Anyone else feel like life is moving way faster than you possibly can? 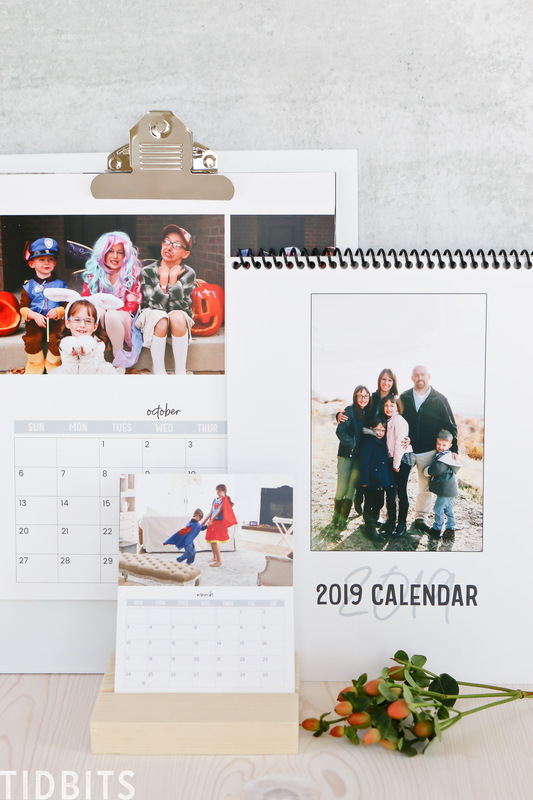 Ya, that’s why this calendar project I hoped to get to you back in November of 2018 is just a few minutes late 😉 . But hey – done is better than never done, and the good news is – there are still months and months left to enjoy in 2019! 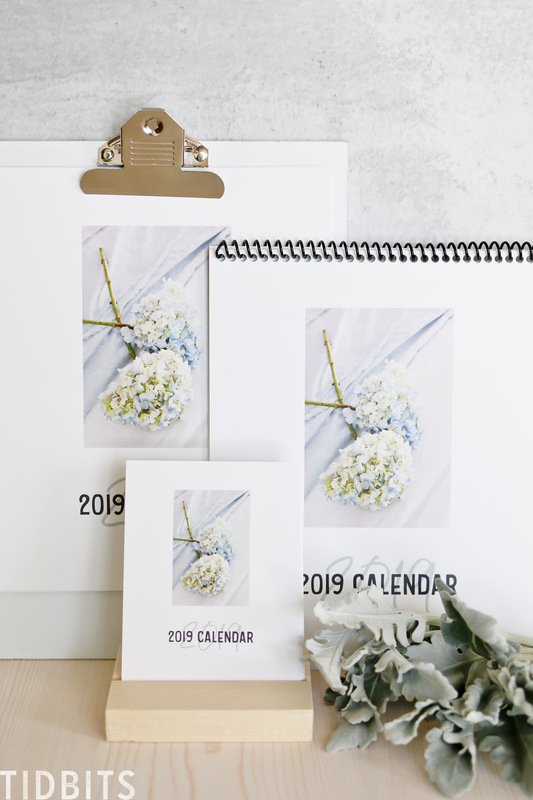 It is no secret that I LOVE photography, so bringing some of my favorite floral images together for this free printable calendar was a really fun project for me, and one that I truly hope you will be able to enjoy as well. 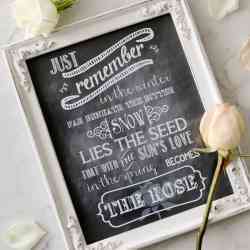 With my free printable (perfect for Spring! ), you can print from home or take to your favorite print shop of choice and have it printed and bound as you choose. 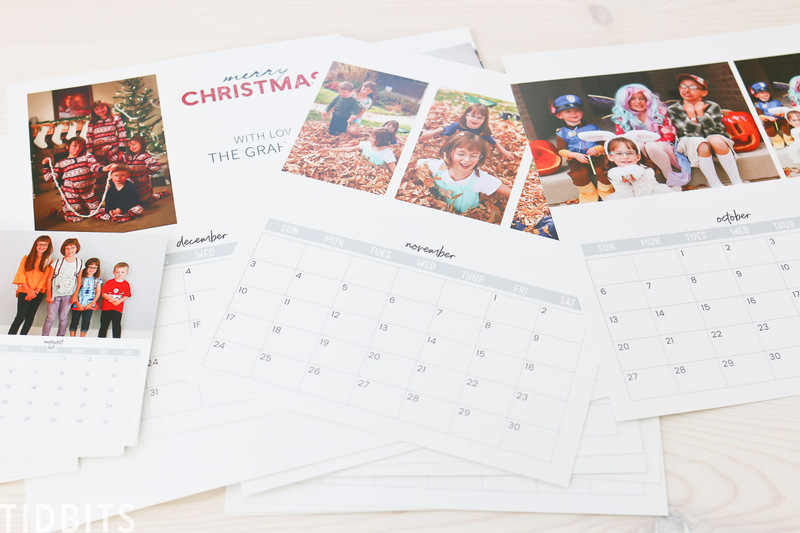 The download comes designed for a standard US 8.5″ x 11″ paper, in which you can opt to do a spiral bind or just clip them together with a clipboard you hang on the wall. 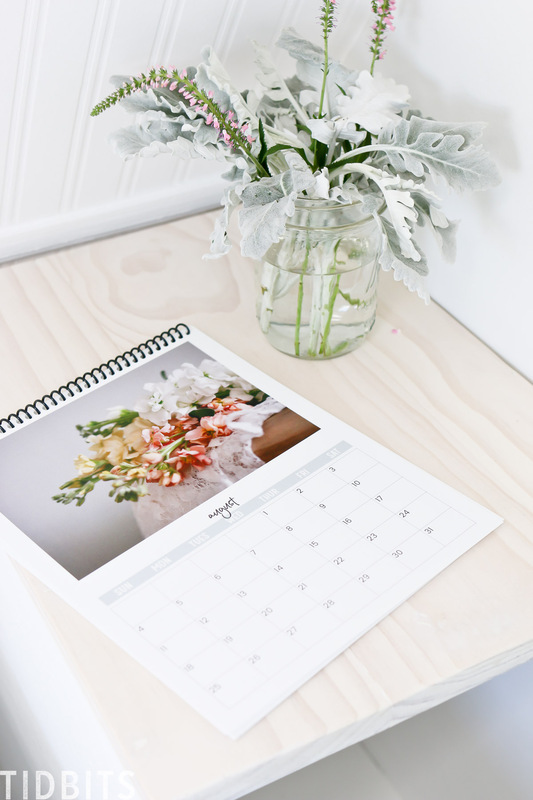 I also requested of my printer to make me some printed at a small desk calendar size, and I adore that option as well. But this isn’t all I wanted to make available to you today! 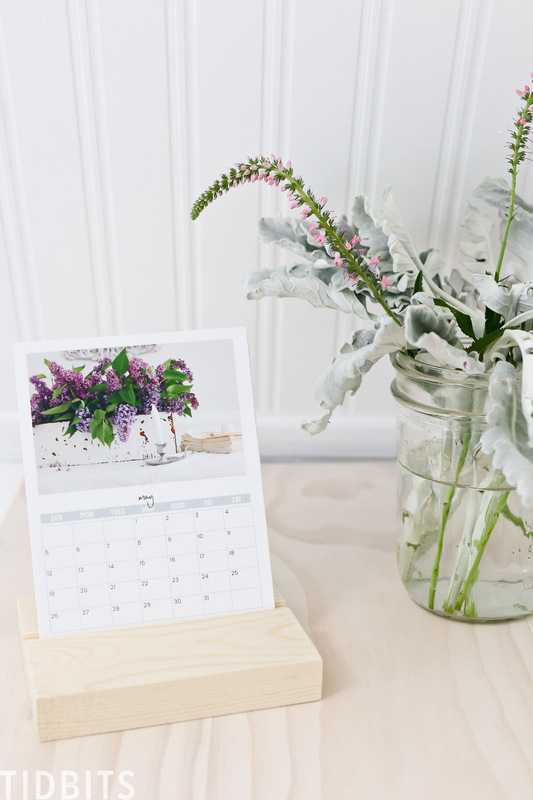 I’m excited to share a DIY Calendar option for you as well! 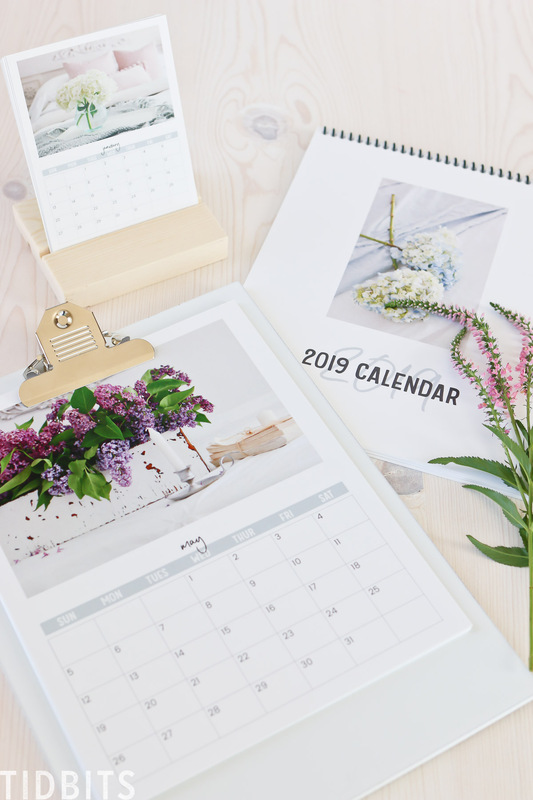 I have struggled for years to find a pre-made calendar template that I like, and that gave me the options I was looking for. I’ve set up the option for you to download this PDF template, designed with plenty of white space for your photos. You can use any software or program you feel comfortable with. My favorite is Photoshop Elements, but you can use other programs such as Canva, Photoshop, Picmonkey, Illustrator, and I believe even Microsoft Word will allow you to do this. (I’m not totally sure on Word, because I don’t have it). 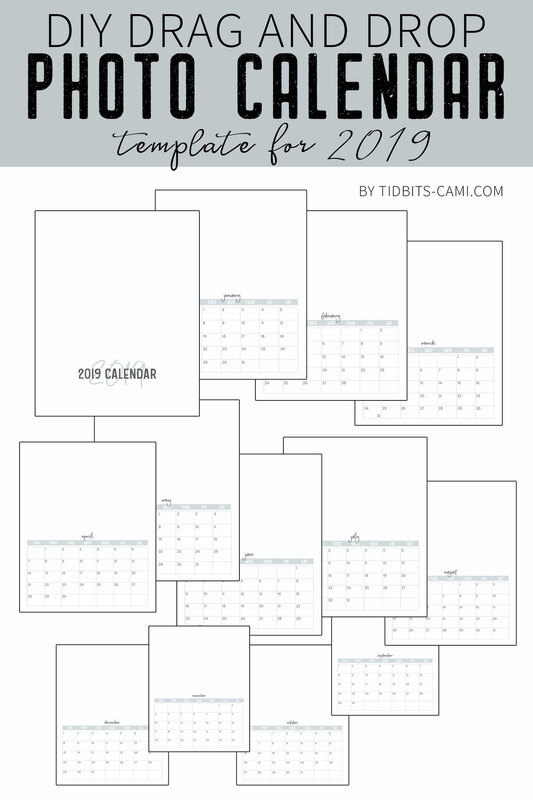 This same template is how I made my floral calendar and my 2019 family photo calendar, that the grandmas love to get each year. 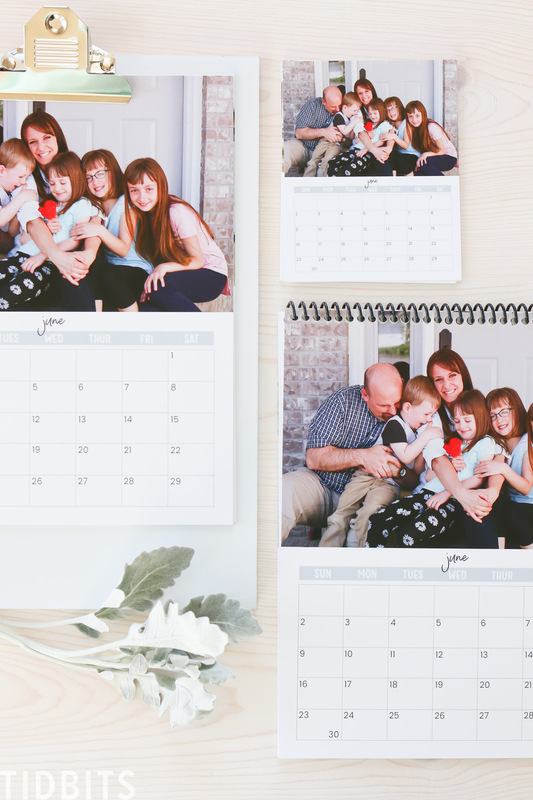 Printing them at my printer of choice proved to be way more affordable than using a service such as Blurb, Snapfish, Shutterfly, or the likes. I really loved that I had the creative freedom to arrange the photos on the page according to what images I had and how I they worked together. If you are comfortable with adding text inside your program of choice, you can easily do that on the white space as well. 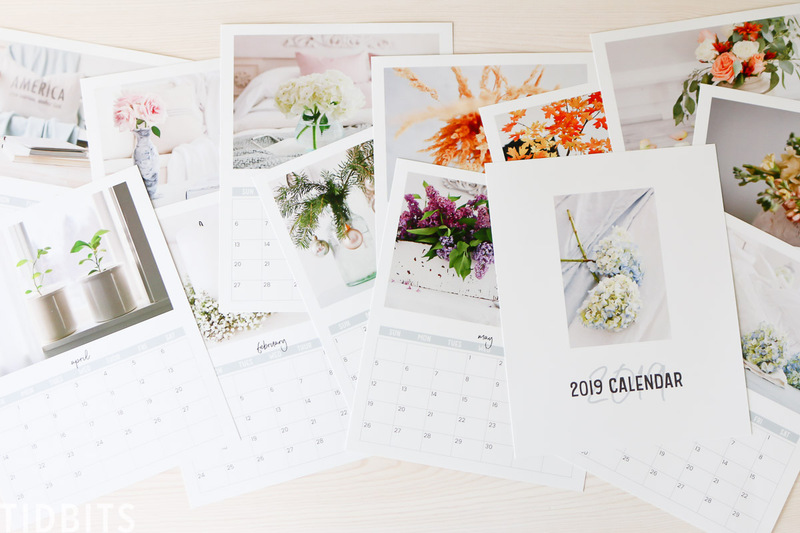 This is total photo calendar freedom, my friends, and I really hope you enjoy it! 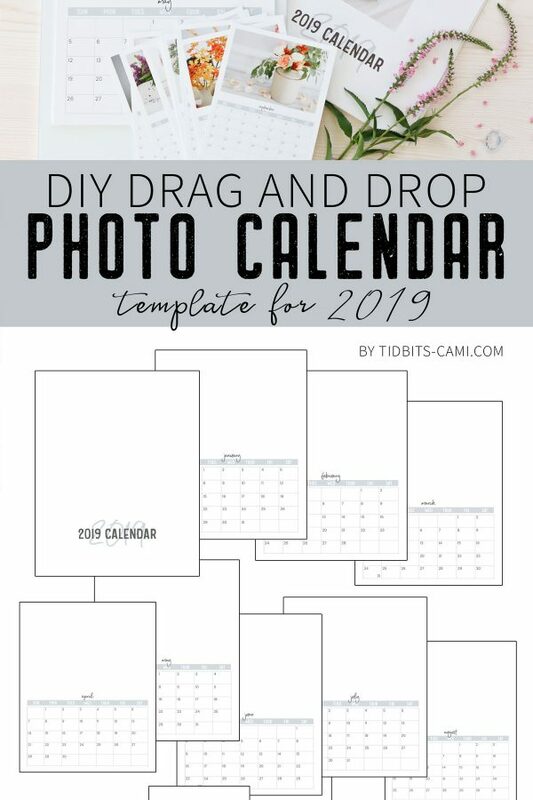 The DIY Drag and Drop Photo Calendar Template is available to purchase in my shop. CLICK HERE or the image below. You can use it as many times as you wish! 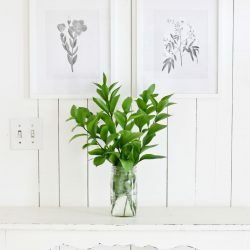 If you have your own collection of photos you would love to display or gift, this is a great way to do it! I am sincerely grateful for your support and encouragement as I share my heart and work on this blog. 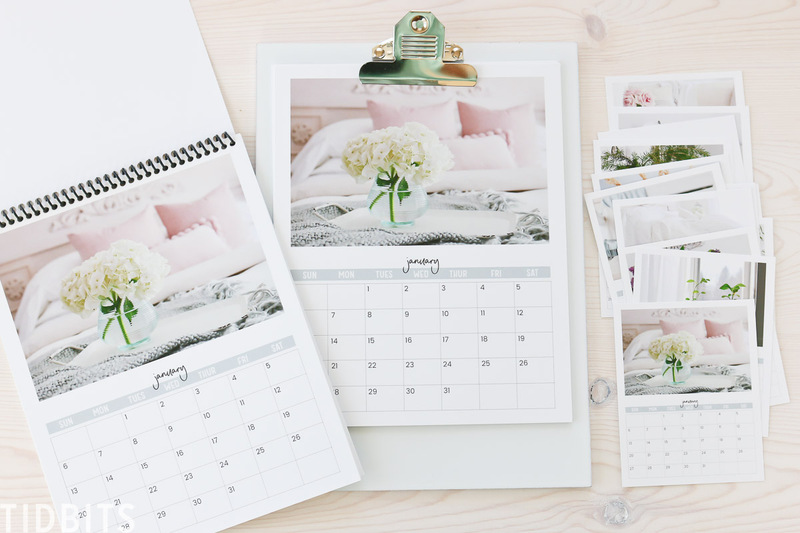 CLICK HERE to check out my photo calendar template! 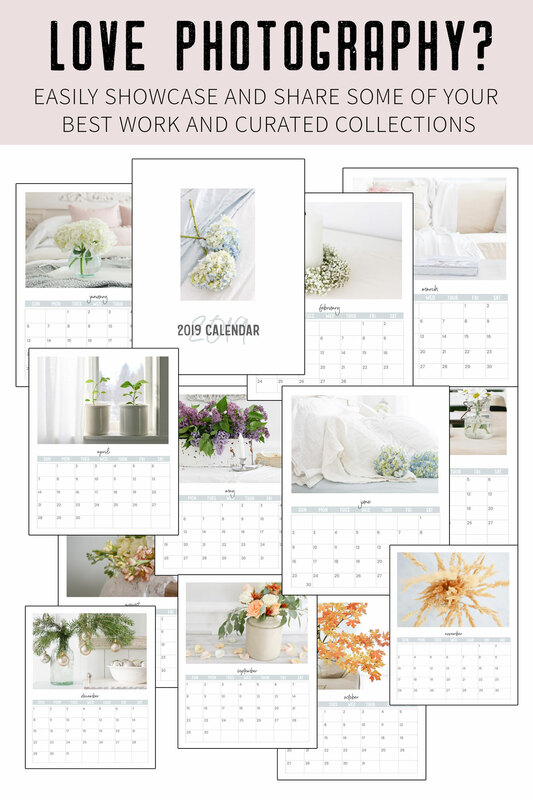 Then of course, my TIDBITS Floral Calendar is FREE for all my newsletter subscribers, as a special thank you for trusting me with your email! 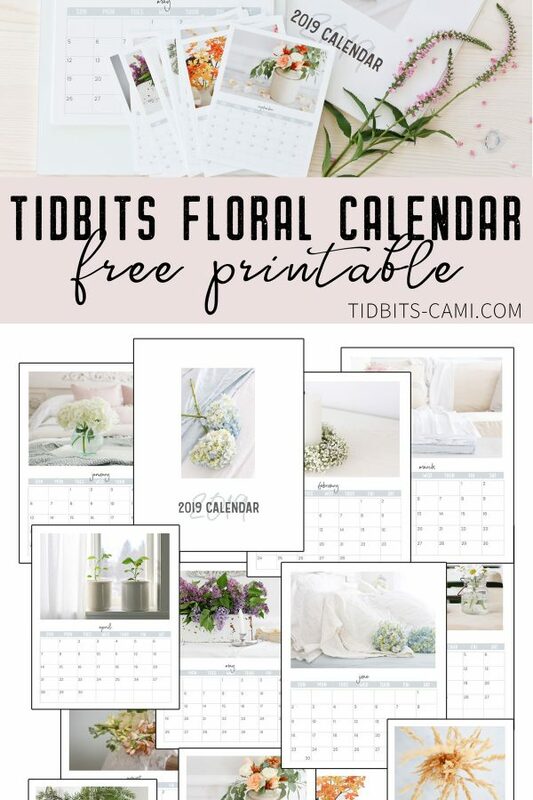 Simply fill out this form and you will gain instant access to the TIDBITS SUBSCRIBER LIBRARY, full of free printables (including the floral calendar) updated frequently and for personal use only. *Already a subscriber? No need to fill out the form below. The link and passcode is attached to every email I send. 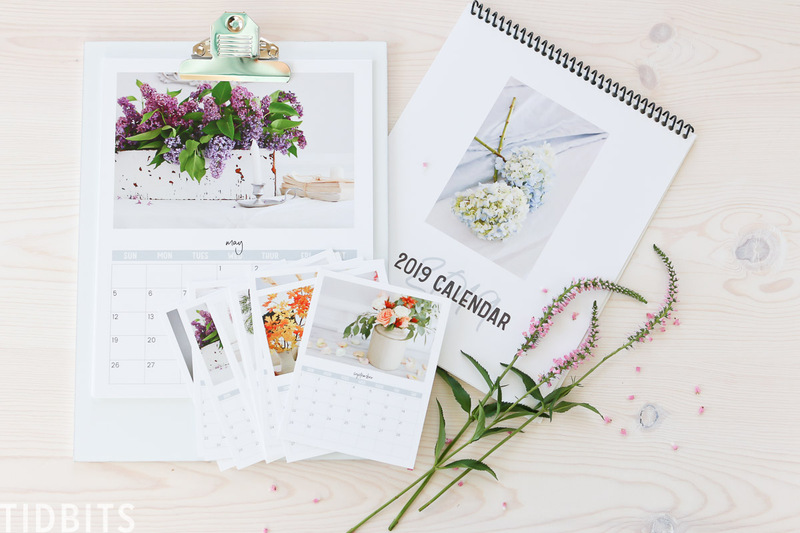 Whether you will use the Drag and Drop Template or my TIDBITS Floral Calendar, I truly hope you enjoy! Now please take a moment and check out all these lovely free Spring printables created by my talented blog friends! Big thanks to Kristen from Ella Claire for arranging these wonderful annual and seasonal events! 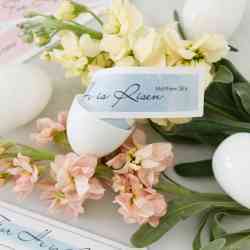 You may also like to check out these other Spring printables I have for you on TIDBITS. Thank you so much for saying so Ardith! Hugs! Wow, Cami! What a generous printable! I love the drag and drop idea and your flowers are just stunning, my friend. I think the calendar looks amazing. I just have one question…. 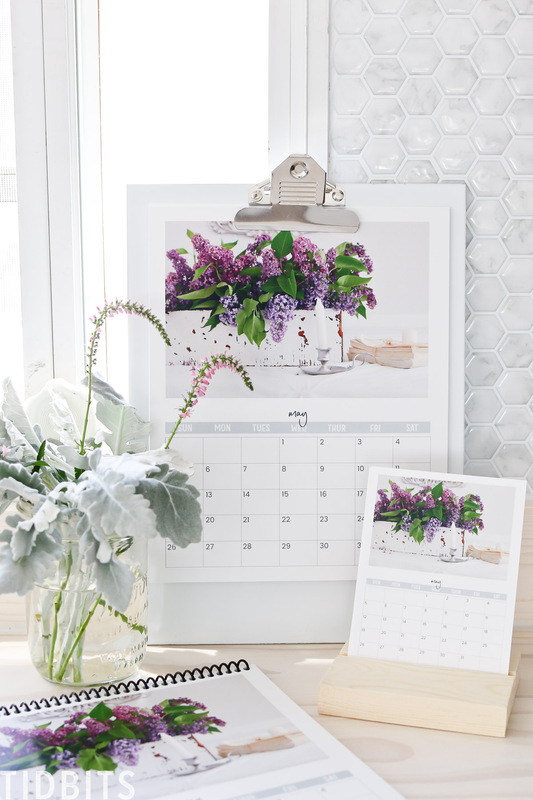 We recently rec’d a similar calendar but this one was showing pictures of my hubby’s grandson… beautiful! We decided to use it as our main calendar this year… Then I noticed something… none of the holidays were noted. Not Christmas, Easter, Family Day, Canada Day, Fourth of July…nothing. I filled these in myself… but I’m wondering… does your calendar have these important days marked ? … just something to think about…..
Beautiful photography Cami, and so nice of you to share the templates so we could customize our own. Better late than never, but sure worth it. Love that these have the option to drag and drop! So very adorable! 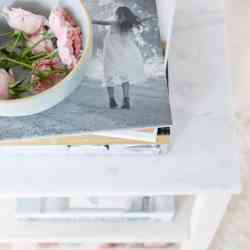 Sara recently posted…How to Distress Furniture Like A Pro! Hello!!! Beautiful design! Thank you so much for creating these!!! Never too early to start thinking about the new year! 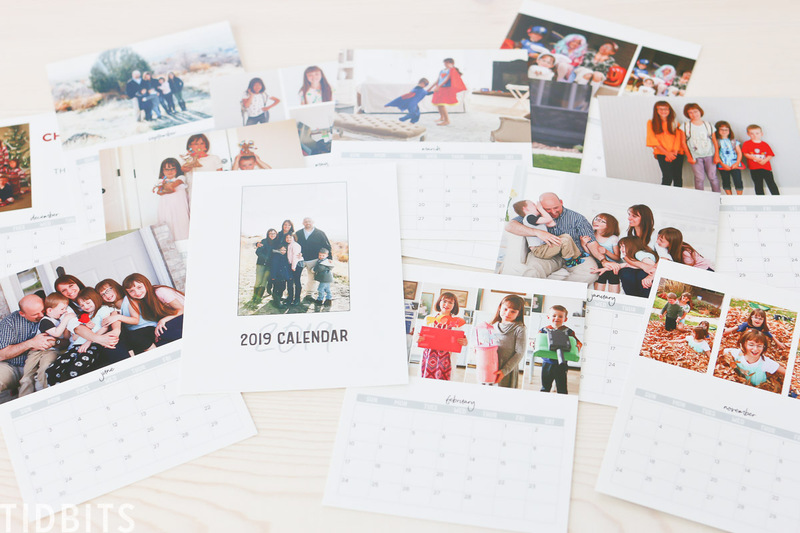 Wow, the calendar design is impressive, because it is easy to see, I also want to try it to give it to my family.